At CardChoice International, we understand businesses today are looking for growth opportunities for themselves as well as to provide value for their customers. With these important goals in mind, we have launched our Independent Software Vendor (ISV) Partner Program to help businesses like yours become more successful and more profitable. Our program is designed to provide you with all the technical documents Software Development Kit (SDK), and marketing and sales resources necessary to mass market your product integrated with our payment products, and let you maximize your revenue potential and provide services for your customers. The ISV Partner Program is a unique and flexible method of adding payment acceptance to any existing software solution which contributes significant value to your customers. You have the option to integrate payment solutions within your existing product offering. You gain a competitive edge – When you offer payment solutions you stand out amongst your competitors. Customers value the additional services you’ll be able to provide because they allow them to accept payments, decrease manual data entry, and increase their cash flow. You can expand sales and retain customers – Having additional products and services to offer your existing customers as well as market differentiation will be key for attracting and selling to new customers. Leverage CardChioce to offer a full suite of products that include integrated desktop, mobile and web payments. You can offer a reliable solution – As a global business and payments company, CardChoice International is committed to simplifying and managing payments for your customers so you don’t have to. You don’t have to worry about support – Our “best-in-class” solutions are backed up with professional grade customer, partner and technical support service. You can relax knowing your customers are in good hands with CardChoice. Stand alone payment – requires no integration within your software. This offering adds a payments solution not directly tied to your software but one that “stands beside” your software solution. Basic integration – simply connect your software with our payments platform and create a seamless payment and posting experience. Full integration – in addition to “basic integration”, payments made outside of your software (for example payment made via a mobile phone) are made visible within your software solution. This integration capability allows for these payments to “post back” to your software no matter where the payment generated. Full integration with Sage ERP/Account solutions – in addition to “full integration”, this integration option automatically reconciles all transactions for accounting purposes when using one of the Sage Accounting packages. No more reconciling manually! 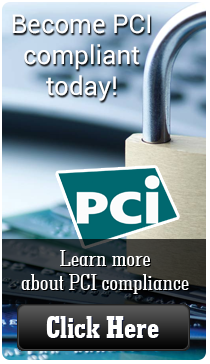 Additionally, all of these methods of integration provide a “PCI Free” component meaning you don’t have to take on the IT and infrastructure burden of PCI compliance.